Composed by Robert Sheldon. Concert Band. Classics Series. Audio recording available separately (item CL.WFR104). Score and set of parts. Composed 1988. Duration 6 minutes, 15 seconds. Published by C.L. Barnhouse (CL.012-2076-00). An exuberant new contest overture incorporating vibrant brass fanfares, lyrical woodwind melodies and rhythmic percussion. Thoughtful orchestration combined with innovative phrasing produces a composition driven with color and energy. A real winner for both judges and players alike! Under the editorial supervision of Dr. Alfred Reed, these "classics" from master composers have been adapted and arranged for concert band. 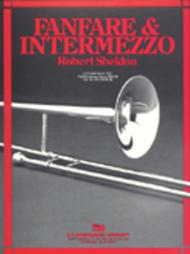 A perfect way to acquaint concert band performers and audiences with some of the greatest classical music of all time!